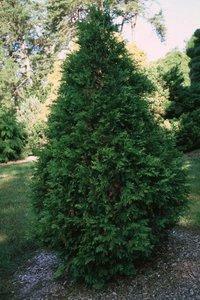 The most popular Arborvitae. 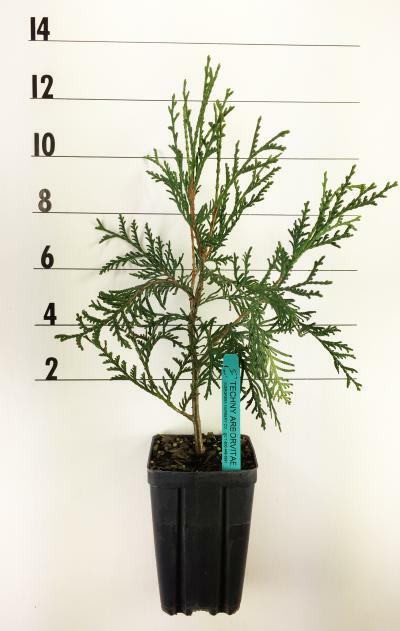 A fast growing, broad pyramidal plant. The foliage is very dark green and retains its color all year. A very winter hardy cultivar that makes an excellent hedge, screen or grouping.